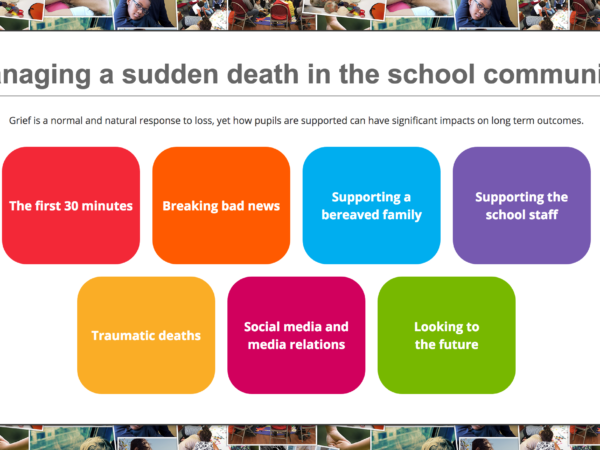 Guidance for schools, particularly senior managers, when supporting bereavement in a school community, including videos, support packs and assemblies. Child Bereavement UK are experts in supporting schools within the context of bereavement within a school community. Through their work they have identified some of the key barriers for schools in responding appropriately and quickly to the needs of those affected by a bereavement. By working in partnership with LGfL, this open access portal has been designed to bring the key information in both a video and text format with a quick and accessible interface.